✔ KNOW THE DIFFERENCE - Copy's of our product and easy to spot , they use a clear suction cup , we use a black suction cup with a locker for stronger suction meaning the spooler will not come un stuck when in use. 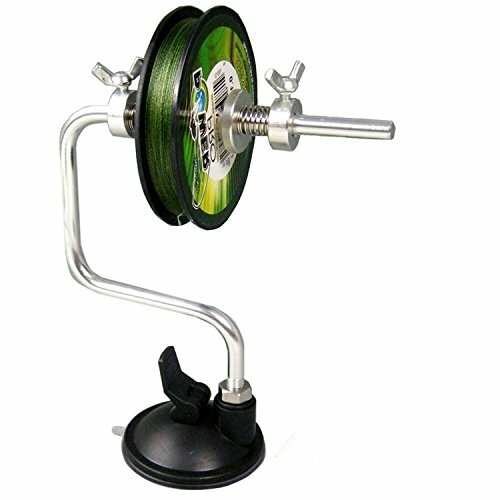 Need To Put New Line On Your Reel ? Simply stick the spooler base to any smooth surface using the sucker. Unlock the wing nut on the top and secure your new line in place. Set the width to control how fast and the direction the line is released. Multi-rotate aluminium spool holder, avoids line twist.